Genetic Powerhouse best describes this boy's pedigree! 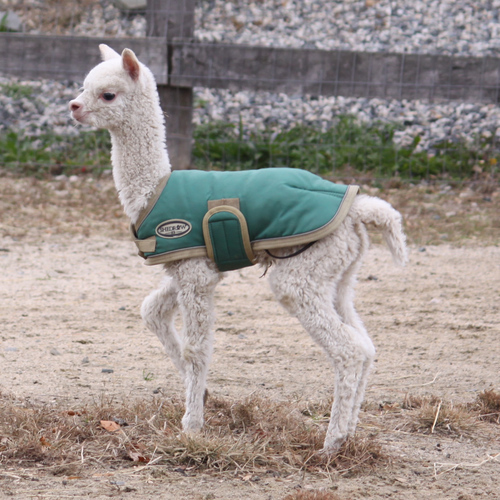 A virtual who's who of the alpaca world, Storm's lineage includes such well known alpacas as My Peruvian Accoyo Pulitzer (his sire), Caligula, Vengador, maternal grandsire, MFI Gathering Storm,Jericho, & Altiplano Gold! Need we say more?Storm is a prime example of what good breeding can produce. 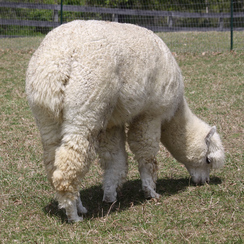 He possesses wonderful fleece characteristics, rock solid conformation,& a calm, evan temperament. Neda's attributes are all Accoyo! 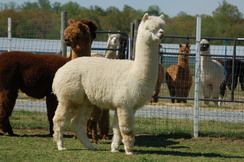 Great coverage, shimmering dense crimpy fleece and a striking presence! Signature of the Accoyo bloodlines, Neda Girl carries the genes that are the epitome of successful herdsires dating back to the original importations from Peru. 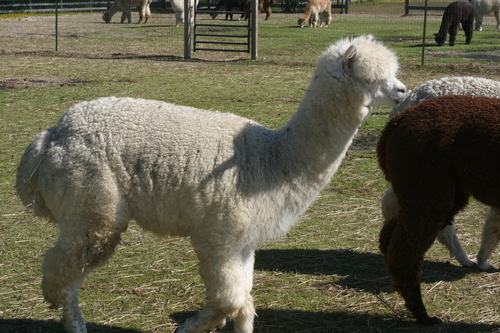 Her pedigree includes such well known herdsires as 4Peruvian Pachacuti, Accoyo Prestige, Pperuvian Moustachio, Pperuvian Leon, and Pperuvian Felix. Her youth is overshadowed by her large and well developed frame. Stormy Mist, aka Tink, is a little ball of white energy. 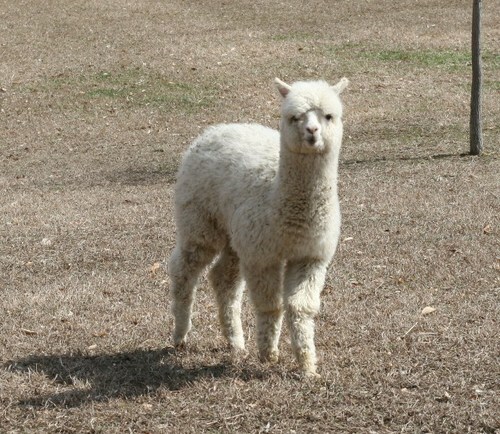 Tink is the smallest of our crias but makes up for it in attitude. Genetics!, Genetics!